By the time I accept that a blast of very cold air is about to hit my garden, I am usually too late to save everything. This year, by some incredible stroke of luck, and I think a dash or guilt, I was out there earlier than usual, working on the winter shuffle. 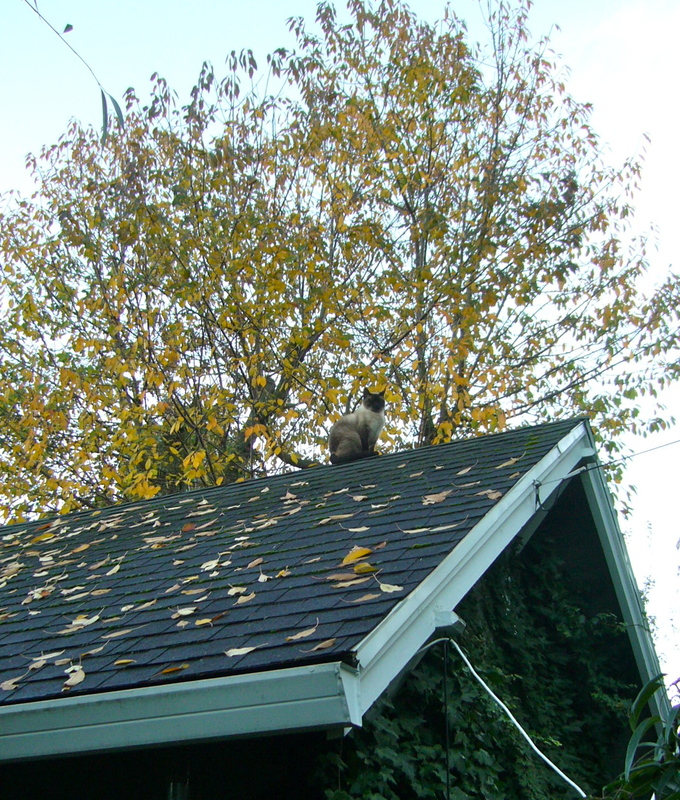 For our garden, that usually means moving some furniture, emptying or moving some planters to safer locations, picking up debris from the Douglas fir trees and entertaining any cats who drop in to watch me. While shuffling pots this year, I had a bit of a surprise. I found that one native shrub I’d planted a few years back was more than I’d thought it was before this season’s growth. 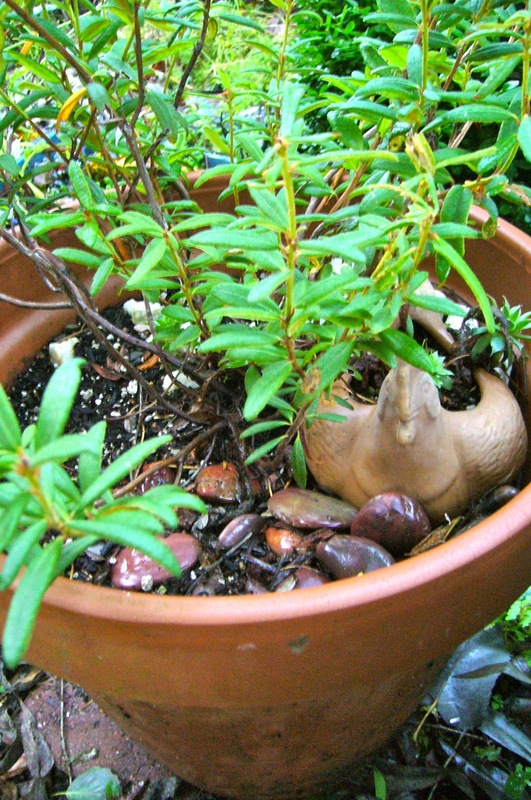 As I rolled its large terra cotta planter to a safer location, the leaves rubbed against me and the smell was amazing! It was unlike any plant smell I have ever smelled before and it was kind of exciting to recognize that this was a new sensory experience for me. It reminded me of incense that was both earthy and spicy and I was so excited by this change in my opinion of it because it really had not done much during the last few years. It wasn’t going to be edited from the garden like a diseased plant, or a seriously underperforming one. Since I’d already pushed it to the back, I’d given it that chance that it needed to recoup. Now that it has grown a bit more, wow, look out! The lovely soft fuzz underneath smells nice too and reminds me of the large leaved Rhododendrons. 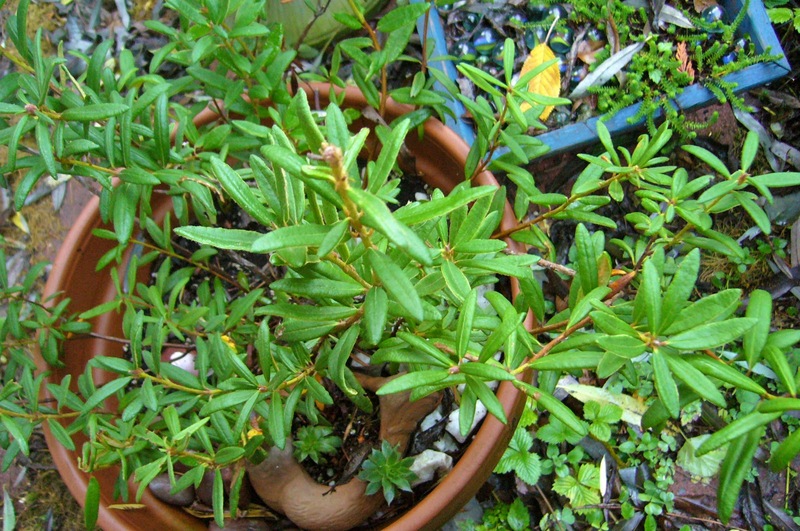 Formerly known as Ledum groenlandicum, after recent genetic testing, it it now Rhododendron groenlandicum, but the common name remains the same: Bog Labrador Tea. As can be ascertained from its name, it likes to grow in boggy conditions. In addition, it is a slow grower so that might explain why I was not overjoyed with its performance. I am so sorry now and I will never doubt a slow grower again. 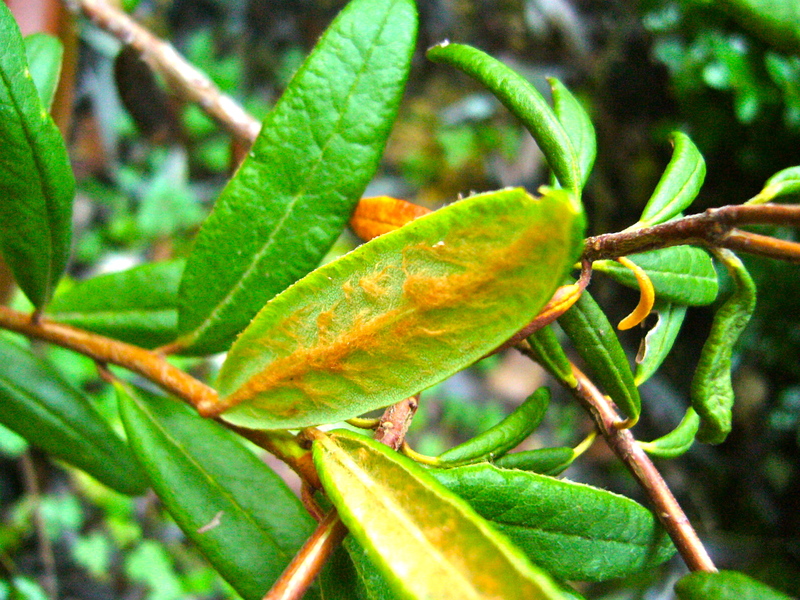 The plant is named after a steeped beverage that Inuit and Athabaskan people have enjoyed for years and which other Native Americans and even early European trappers drank too. According to Wikipedia, in Labrador itself, the tea is called Indian Tea. The beverage is considered palatable and is used medicinally as well. When the plant grows some more, I will attempt to make some myself! I am always willing to try new foods, and will run this one past my chef husband. It might be useful in the future for some kind of special dish. As I worked throughout the day, cats came and went. Our youngest cat Mona was by far my gardening buddy that day and she stayed outside with me in the mud. She had to run around a lot to keep warm, but she kept me entertained. Another important task of the year is always to save any seedlings that didn’t grow large enough to plant, trade, or sell during the summer. Here are a few of the plants I pulled into the house recently. These are Lilac Fuchsias I grew from seed that might make it in this zone, but I am afraid to take that chance just yet—if ever. The others are Australian Cabbage Palms. 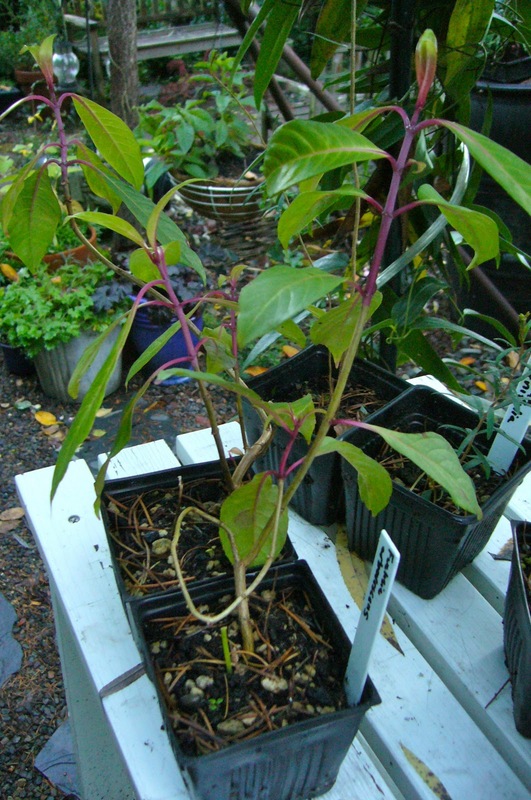 Lilac Fuchsia, Fuchsia arboresens, before they head into the basement growing area for the winter. I purchased seeds for these plants last winter, and hope to add them to my ever expanding Giant Fuchsia Collection. 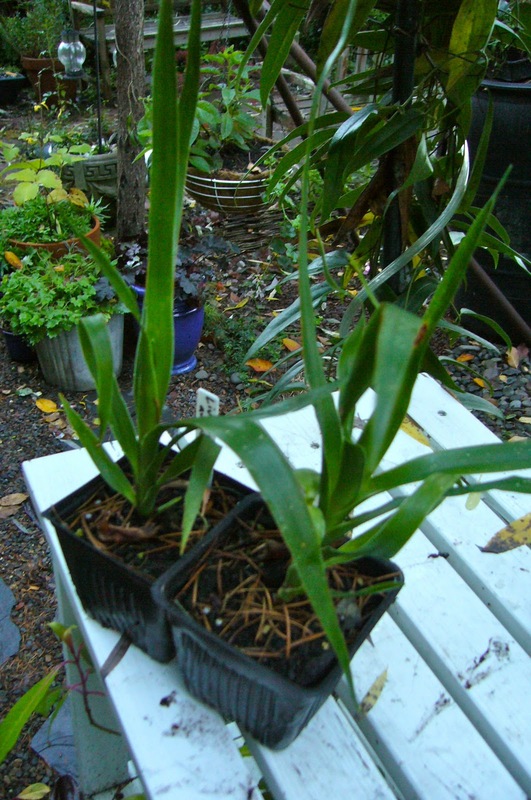 Livistona austalis is not hardy here, so I will most likely end up trading these with some adventurous soul. They were a free gift in a seed trade, so I was really just interested in germinating them. Everything is far from being completed outside, and the countdown is on. I have about 4 days until the near freezing temperatures and wind arrive on the scene so it’s back to work for me. Hope you are all warm and toasty and have accomplished your garden tasks before this on-again off-again chronically ill up-and-down gardener! Let me know if you find any amazing and unusual seeds for sale in those new catalogs too that are pouring through our mail slots just about now. What a neat trip storing your plants and cleaning up. What a couple of great shots of the cats! I can't imagine the smell of the shrub but you described it well. Always fun to find a surprise. 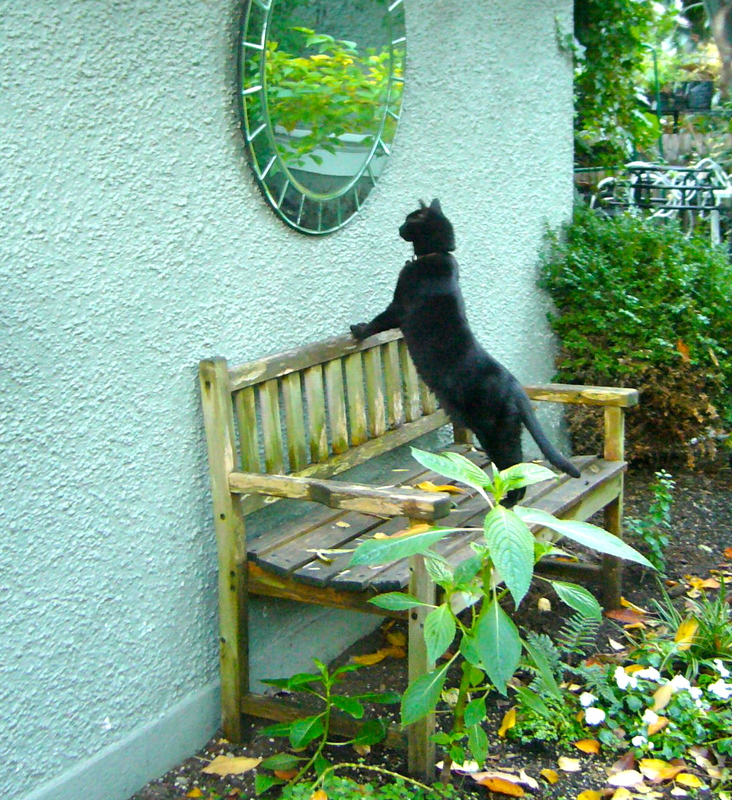 And the cat in the mirror is so cute. It looks so much like my cat Jingles. I miss cats but we have too many coyotes here and besides my partner can't stand cats! It's so fun to have these novel experiences in the garden – ain't mother nature great! I understand the coyotes. My mom and dad live in a suburb of Portland on a creek and coyotes wander up and down it eating pets. We lost a cat several years ago and it still hurts to think about it. He was a family friend. I cannot imagine life without my cats. Good luck again with those seeds. I cannot wait to plant more of mine.